SUNLAND, Calif. — JRL GOLF is excited to announce their open house for the JRL GOLF Junior Academy, Saturday June 4, 2016 at Angeles National Golf Club from 10:30 a .m. – 5 p.m. JRL GOLF’s open house provides the opportunity for junior golfers and their parents to experience the academy, meet the instructors, learn about our teaching philosophy, and hear from guest speakers, such as Chris Zambri Head Golf Coach at USC. The Academy incorporates the latest in golf instruction technology, fitness, mental game, practice methods, and playing opportunities in a fun, yet competitive environment. Designed as a yearlong program, JRL GOLF Academy students are afforded the opportunity to continually test and measure their playing ability against their peers with a low student to teacher ratio. Emily Depauw – Egoscue, Strength and Exercise for Golf. All prospective students will walk away with a solid understanding as to what they need to work on in order to achieve their desired level in golf. JRL GOLF Junior Academy is the first yearlong academy focused on junior, playing their best and obtaining their next level in competitive golf. 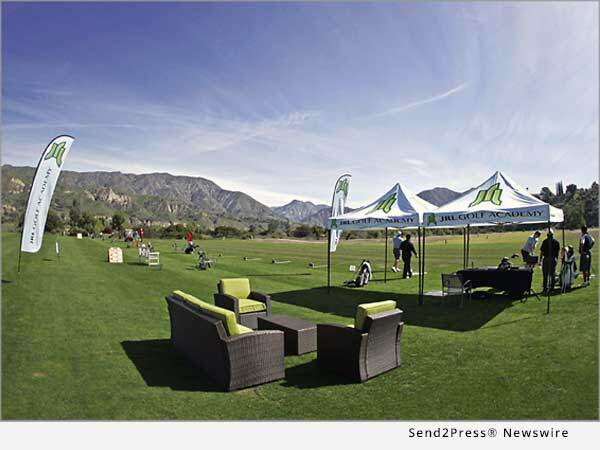 JRL GOLF located at Angeles National Golf Club within Los Angeles County has created the most comprehensive learning center and golf academy for junior golfers, beginning, avid, and competitive amateur golfers. JRL GOLF provides a high level of golf instruction in Los Angeles by incorporating the latest in teaching technology including, TrackMan, K-Vest(tm), BodiTrak, and V1 Swing Analysis with hands on teaching and real time quantitative feedback. Instructors at JRL GOLF have extensive teaching and playing experience with over 15 years of instruction and competitive rounds on all major professional tours. Personal instruction and cutting edge teaching technology combined with Angeles National Golf Club’s large all grass practice facility, private hitting bays, putting greens, and private short game area make JRL GOLF Los Angeles’ most advanced learning center for both daily fee and private club golfers. For more information about JRL GOLF and JRL GOLF Academy, visit us at www.JRLGOLF.com, email us at info@JRLGOLF.com or call 818-671-4555. 9401 Foothill Boulevard, Sunland, CA 91040.